Child Psychology. 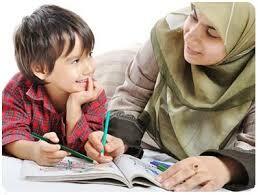 Talking about the child's problems will not be exhausted her, sometimes makes parents menjdi confusion and panic. Wisest step is to understand any psychological indicated in children. According to experts Developmental Psychology, Erikson emphasized on eight stages dilali children from an early age to adulthood. Where in each stage will have a positive impact and negative effects. At an early age, many things that attract the attention of children that makes them want to always try even though it is dangerous for the child's own self. At this stage, the role and adult supervision is essential. Providing support and guidance both in children is the right way. According to Erikson, do not give excessive criticism or advice because it can make children grow up with a sense of doubt on its own merits. There are seven intelligence contained in a child according to Gardner, a researcher on the psychology of children. Linguistic, logical, mathematical, spatial, kinesthetic, musical, intrapersonal, interpersonal and naturalist. Each child has a different sensitivity regarding these stages. Gardner's Multiple Intelligence reveals plural intelligence is the ability to locate and find solutions to problems faced by children. For example, if your child is crying for hours. For this, parents should be smart cope with their own emotions. Instead, parents need not panic when the child cries. Stay calm and do not need to rush is the right attitude the parents. According to Hans Grothe, a child psychologist from Germany, the most frequent crying child is age 2 to 3 years, where the cries of children with regard to their own age. The crying child is the music sounds beautiful nature, there are three keys to handle the crying child, serenity, tranquility, and serenity. Wherein each of these ways has different levels. Parents need to train and see the reaction indicated the child. This is the importance of understanding the science of psychology as it will greatly assist in educating children. So will be intertwined with a closer bond between children and parents.